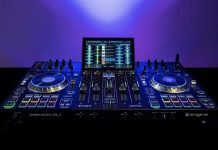 The Denon DJ VL12 Prime might look strangely familiar, and that is because it was essentially presented in an earlier incarnation at Namm 2016. Now it is part of the Prime Series and as such, it was officially introduced here at Namm. 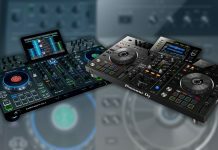 Paul Dakeyne from Denon DJ took time from his ultra-busy schedule (you can imagine that the entire press corp wanted to get a demo of the Prime Series) to take me through the key features of the VL12 Prime. The attention to detail and care for quality are evident here. Making it part of the Prime Series is a smart move, so the ecosystem is complete from the start: a media player, a mixer and a turntable, something for everyone. And priced at USD 899, it remains affordable. My gripe? the led ring. I don’t know why Denon DJ is so obsessed with LED rings around platters, it feels gimmicky and takes away from the seriousness of the gear. Too many colours make it look like a toy in my opinion, no matter how well crafted it is. But that is just me and you can turn the led ring off. Apart from that, my guess this one will become a favourite amongst turntable lovers. Priced at USD 899, it remains affordable. 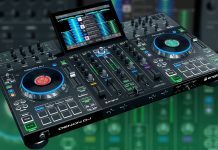 New Denon DJ All-In-One Media Player Coming Soon?